Coupon affiliates. These two words alone are enough to drive some of us crazy. There is definitely a lot of emotion attached to the coupon category of affiliates. My sales team, our managers and I have had countless conversations with clients in which the entire focus quickly became how much they disliked, discredited and hated coupon affiliates—and were annoyed that this category even existed. I use those strong words for a reason; there are many, many, many advertisers who feel this way about coupon affiliates. Now, there’s a lot of real-world experience that goes into those beliefs. I’ve also been quite frustrated by this, and other categories, of affiliates in the past. Still, I’ve always felt that this view of coupon affiliates is based on an emotional reaction to what we “feel” or “think” about them rather than concrete evidence. No matter where you currently fall on the “love-hate coupon affiliates” spectrum, we owe it to ourselves to explore the bigger questions about how we choose which affiliates to work with: Are we left to rely on feelings when evaluating partner performance, incrementality and the overall value of an affiliate or even an entire affiliate category? Is our gut the only thing we have at our disposal to help us make good budget allocation decisions? I know for me, in my own life, purely emotional decisions are usually reactive in nature. I end up missing quite a lot when I operate solely from an emotional mindset. I love using data for this reason. It’s clear, at least usually. It has no emotion tied to it. And when we look at it objectively, we usually make better decisions. The data on coupon publishers has to be out there, right? There has to be some data we can look at to determine the value of the coupon category, yet it’s too often missing from affiliate strategies. So, in an effort to get more clarity on this issue—and since I haven’t actually managed a program personally in quite some time, thanks to the amazing team that I have had at JEB—I reached out to my team and to others in our industry to see if there was data that sheds some light on the coupon affiliate topic. “Best of web” deal sites, which cultivate the best deals on the web for many categories; these guys rely on this cultivation to create an environment where consumers discover new brands and products. You also could argue that there is a fourth type: browser plugins like Honey. Now, I believe that when we hear advertisers talk about the dreaded coupon sites taking credit for orders they already had, they’re really talking about coupon aggregators. I’ve confirmed this with many of the individuals and organizations I spoke with to compile this data. Paid search arbitrators would really be handled as paid search affiliates. And “best of web” deals sites overwhelming were viewed by our clients in a high esteem. Those sites are perceived to do quite a bit more than the others to introduce new brands and products to their user base and provide a different level of incrementality than the other two. Advertisers in general seem to love this category. I believe it’s because they are perceived to be doing a lot more to generate incremental revenue, unique traffic to their sites and value to the advertiser. They don’t actually do anything to win the user for the brand. Users have been trained to go back to Google and search for a coupon after they have made a decision to purchase, increasing the advertiser’s cost and providing no value for that cost increase. They lessen the brand in the eyes of the consumer. Why is this a problem worthy of discussion rather than just a common grievance? According to a Rakuten Marketing report, “Waste is still prominent in marketing spend in 2018. According to our study, marketers estimate they waste 26% of their marketing budget on the wrong channels or strategies. Advocates exceed this figure by 2%, while Architects are only prepared to admit to wasting 18% of budget. In order to understand who is an architect or advocate you’ll need to read the entire report. But regardless, wow! 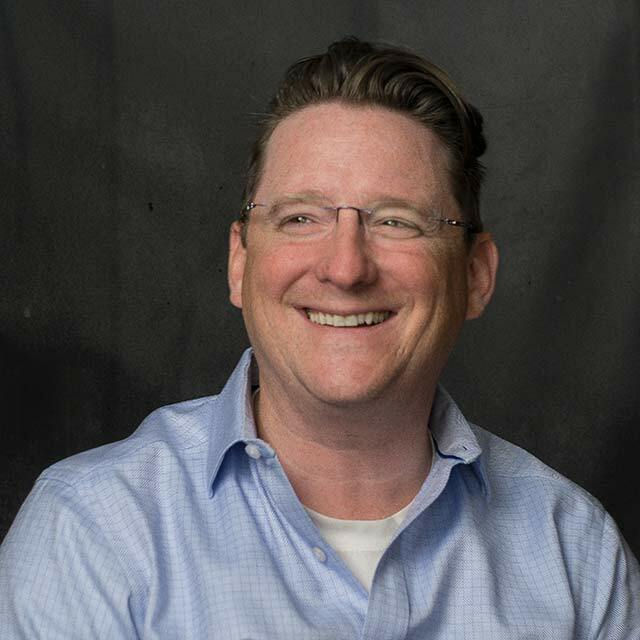 More than one-quarter of marketers’ budgets is being wasted? If 75% would switch ad platforms, I think it is safe to say they would move budget from one category of affiliates to another to be more effective with their spend. I’d say 26% is a big problem. The data we’ll share below will give you quite a bit to chew on. Like I said earlier, hopefully it will help you make decisions on your advertising spend. So, let’s talk incrementality and new users. In order to get to the bottom of how we form, and validate, our hunches about coupon affiliates, I looked to the JEB team and others in the industry. During my research, I didn’t ask how anyone felt. Instead, I asked what data they had to show the value—or lack thereof—of this category of affiliates. I reached out to all the major networks, the top 15 coupon-type affiliates, some unique affiliates that offer coupons, and a few of our clients. I was hoping to have all the stakeholders in the affiliate channel represented in my exploration. I have to say a huge thanks to the networks—Linkconnector, Commission Junction, Linkshare and Partnerize—who provided some amazing data, both broad and deep. One group that I hoped would have been able to provide more insight but didn’t was the affiliates themselves. I was disappointed that they weren’t able to participate, but many said they would be able to after Q4. I had hoped beginning this in September would provide enough time, but it looks like participating proved to be too much as they geared up for the very important quarter ahead. Here’s one of the first sets of data I uncovered in my research: A JEBCommerce client in the consumer goods category wanted to know how effective two of the biggest coupon affiliates were in driving sales they would not have had without them. To be transparent, this client felt the coupon affiliates provided little value; it wanted them out. One key measurement they use is new-to-file customers, or customers who have never shopped with their organization before. For the period of Jan. 1 through Aug. 7 2018, the top coupon site—you know their name, and you most likely have a bit of disdain for them—generated 80% new customers through its site. That’s triple the client’s expectation. The second biggest coupon/loyalty affiliate in the program generated 78% new customers. After reviewing the data further, we discovered that the majority of the customers in each instance had no visibility into this brand prior to the click from both of these websites—more than 65% in both cases. That’s a significant amount of new customers introduced and closed by these two affiliates. The client chose to keep those affiliates. Comscore and Google released a much-anticipated study at CJU that spoke to this very issue (thanks to CJU for supplying this). In the study, Google shared that 94% of transactions driven by coupon affiliate paid search ads were incremental—meaning, the customers were not already on the retailer’s site before they searched for a coupon. Just 6% of purchasers were already on the retailer site before clicking on a coupon ad. When I saw that data, I really had to take a step back. There are a few key things to note here: First, 94% of transactions were incremental, and that definition is pretty clear here. They were not on the advertiser’s site. Furthermore, this was also a study by Google and Comscore. That is important to note because one of the big critiques of data sets in our space is that they have been published by parties with an incentive to show the channel in a positive light. I don’t believe this is the case for Google or Comscore; I think it’s safe to trust that data. And finally, this challenges the biggest knock on coupon affiliates: that they are only there after the purchase decision is made as the user leaves the cart, goes to find a coupon, then reenters the cart through an affiliate link, allowing said affiliate to get the credit. Under that common argument, no value is created by the coupon affiliate. But the Google and Comscore study data shows overwhelmingly that that is not the case. Compelling data, isn’t it? Partnerize also shared some data along these lines with me. Across their platform, coupon site-originated purchases were 57% more likely to be new users than customers who converted from other channels. Another way to measure incrementality is by size of the order. Do coupon affiliate orders tend to be larger or smaller than other affiliates’ orders? Do they have more items per order? Essentially, we can frame the question this way: Do coupon affiliate customers purchase more or exhibit more favorable purchasing behavior than the customers from other type of affiliates? In other words, 31% are not shoppers who are only looking for a deal. Nearly 1 in 3 are full-price, non-discount purchasers. Coupon shoppers who clicked on a coupon ad were more than twice as likely to purchase and convert on an advertiser’s site! Again, this comes from the Comscore/Google study. Another often-discussed area of performance within the affiliate channel is the customer’s path to purchase. Do coupon affiliates only come in at the end to “steal” a commission after the consumer is already on the site, or are they a bigger part of the process? To dive deeper into the issue, let’s see what the data shows. 69% of the time, cookies from coupon affiliates occurred before the user entered the shopping cart window, meaning they introduced and promoted the user to the cart in more than 2 of 3 cases. If you value introducers, it’s also important to note that two-thirds of coupon purchases could be introduced by that same coupon affiliate. Based on the third bullet point above, it’s safe to say the coupon affiliates contributed, influenced or introduced—but did not close—the deal. A personal note on this point: When the discussion of category value comes up, the issue of coupon affiliates closing the deal when others have introduced and influenced almost always comes up. But rarely, if ever, is there discussion on when these affiliates introduce and influence but don’t close. Shouldn’t it go both ways when determine value of a partnership? TIME TO CONVERSION: We use time to conversion as a measure of whether people are visiting a coupon site after, say, deciding what and where they are going to buy, in order to see if there is an available discount. The prevailing assumption among those who believe that coupon sites are subsidizing current users is that the time to conversion would be quite short. One of the downsides of coupon affiliates cited by those of us who don’t like working with them is that it diminishes the brand’s identity in the mind of the consumer. But if you look at the data on general coupon behavior below, is that actually true? PURCHASE REJECTION RATE: We sometimes think of the rejection rate for conversions as a measure of the quality of traffic and data from partners. Accepted or valid sales are an indicator that the site delivers real, authenticated purchases. 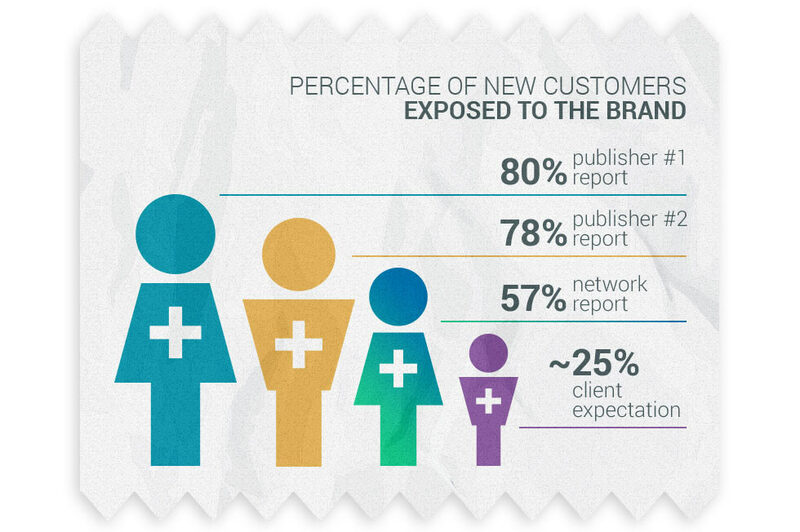 As you know, in our industry rejection rates tend to be quite low across all major publishers. That is great evidence of the quality of our category. Further, when we compared the rejection rate for purchases made from coupon sites versus other sites, we saw that coupon site rejection rates were 25% LOWER than average. I believe that this is because coupon sites tend to be that largest and most sophisticated affiliates. 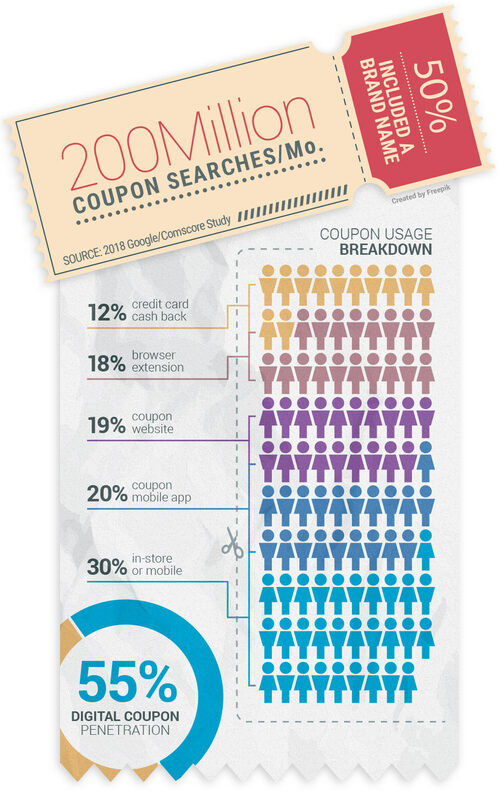 So does it really diminish the brand if so many of consumers are searching for and redeeming coupons? Coupon affiliates. You probably began this article not thinking very highly of this category. And perhaps you’re still not a fan. But is this data compelling? Has it changed your mind in any way? Now, we all have to make our own decisions on budget spends in order to achieve our financial goals and some level of spend efficiency. My hope is that I’ve provided some compelling and interesting data that you can incorporate in your budget decisions to grow a large and profitable affiliate program. If you need any help determining the right affiliate publisher mix or whether your affiliate program is profitable or not, let us know. We’d love to help you! And again, a special thank you to the teams at Linkconnector, Commission Junction, Rakuten Marketing, and Partnerize for sharing such thorough and compelling data. Great article with well-sourced data and conclusions. 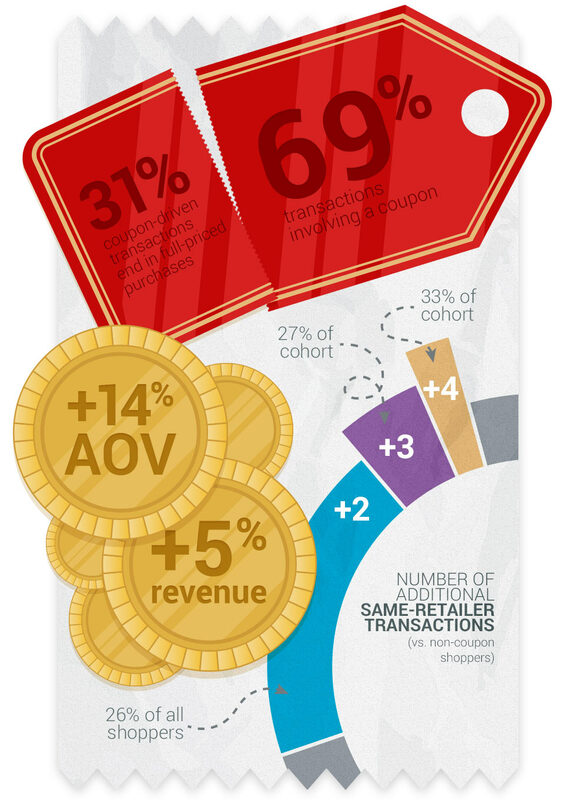 The value of coupon affiliate space has been questioned since its inception, but Google and Comscore have accurately captured some meaningful data about the undeniable value in new customer acquisition, increased conversion, and increases in AOV as compared to historical average customer comparables. For marketers who are truly data-driven, you can’t deny the positive impact coupon affiliates can play in a well-managed program. Thanks for the comment Kurt! I was truly surprised how much good data was available on this subject. I hope it helps us all make good data based decisions. Thank you for sharing such amazing content and research on this topic. I managed an in-house affiliate program for years, and ALWAYS saw the value with coupon affiliates. The value came with the results we saw from those publishers. Since changing jobs, I’ve been challenged by my clients with these exact arguments you outlined. There were lots of great takeaways here to share/consider.